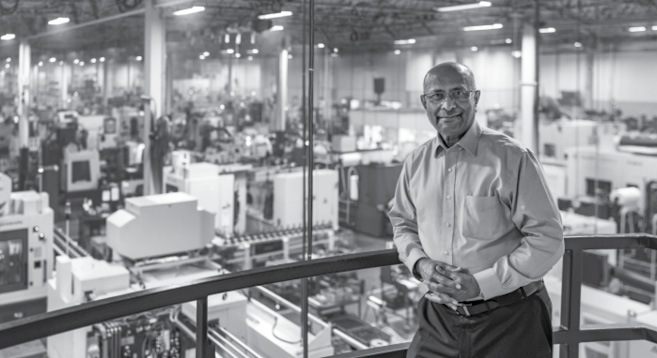 Nearly 30 years ago, Bipin Doshi, ChE’62, MS ChE’63, left corporate America to buy a struggling gear manufacturing company. As a chemical engineer, his expertise did not encompass gears, axles or transmissions, but he believed he could turn the company around. He was right. Since Doshi bought Schafer Gear Works in 1988, the company’s annual revenue has increased 30-fold, and the number of employees has grown from 50 to over 300. “Making the transition from the corporate world to private business was a good challenge,” says Doshi, who was no stranger to transition or challenge. At age 20, he traveled 8,000 miles from India to Rolla to study chemical engineering (after earning a bachelor’s degree in chemistry at the University of Bombay). 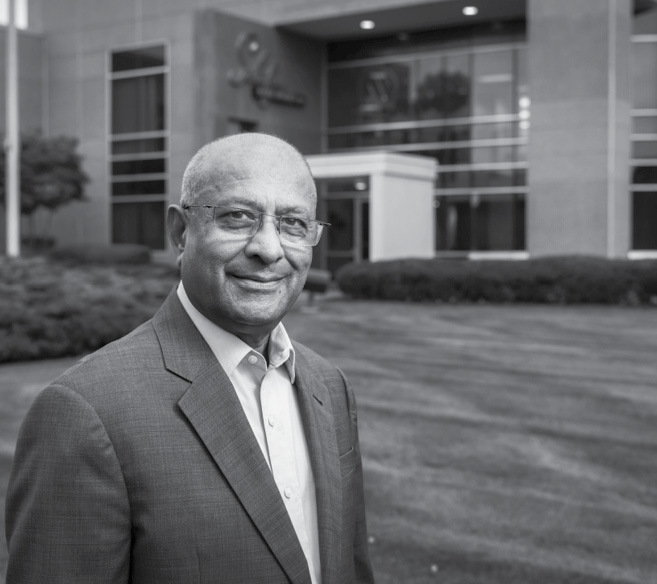 After earning bachelor’s and master’s degrees in chemical engineering, Doshi joined the U.S. Rubber Co. (later Uniroyal) as a research engineer in the chemical division. Over the next 20 years, he advanced from process engineer to project manager to vice president of a company subsidiary. Then, as Doshi puts it, “the corporate raiders of the 1980s came on the scene.” Massive changes were occurring in the corporate world, and Uniroyal was no exception. “Uniroyal was selling off subsidiaries, and I attempted to buy the one I was running,” he says. “I didn’t succeed, but my quest eventually led me to Schafer Gear Works.” He credits his wife, Linda, with being his sounding board. “When you go out on your own, you need a strong business partner,” he says. Today, as leaders in their industry and the community of South Bend, Ind., the Doshis are also generous contributors to higher education institutions, including Missouri S&T, where they were the first donors to step forward in support of the new chemical and biochemical engineering building after Jim Bertelsmeyer, ChE’66, announced his naming gift. The Doshis’ major gift named the Frank Conrad Unit Operations Laboratory in memory of Doshi’s mentor, advisor and friend.